Maxi Cab is a 7-seater van. It is a Mercedes Vito or Viano (white color) with a taxi sign and enough space where up to 7 people with 7 luggage fit in. Why should I book a Maxi Cab? If you are traveling in a group of more than four passengers or if you have excessive amount of luggage then it would be a good idea to book a Maxi Cab. Yes, but it depends on what type of transfer service you will avail. Cash mode is not accepted for Arrival Transfer, Hourly Disposal, and Wedding Package Transfer. Would you charge extra if my flight has been delayed? We do understand your concern and we will accommodate late flights. Please provide us with your flight number during the booking and we will continuously monitor the flight status for you and you can travel worry free. We will fetch you when you land without any extra charges. We wait up to 1 hour and 30 minutes from your expected time of arrival and it is free of charge. Based on our experience this should be an ample time for you to go through the immigration process. Can I pay using my credit card to the driver? Yes, but you will be charged with 10% admin fee. What is the minimum advance booking and the maximum advance booking period? 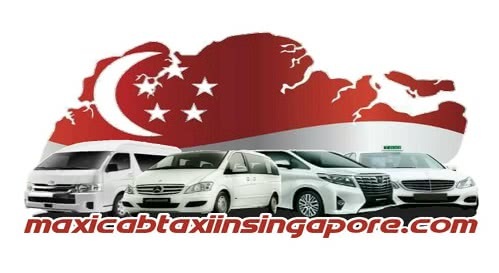 The minimum advance booking has to be at least 1 day in advance from the time you will need Maxi Cab.The Maximum advance booking has to be a maximum of 3 months in advance from the time you will need Maxi Cab. Can I request all front facing seats? Yes, we will arrange that for you. Can I transfer my items without any passenger inside? No, at least 1 passenger must be in the cab together with the items. We need to do this for security purposes and we hope that you understand. Do you provide booster seats for kids? Yes we do. Please mention this request in the special requirements section during your booking or send us a separate email. Booster seat is subject to additional charges 10 SGD per seat. Can I book the Maxi Cab for a certain period and I want the driver to be with me the entire booked time? Yes, you can book for Hourly Disposal with minimum of 2 hours. Can I order a Maxi Cab for Wheelchair Transfer? Do you provide the ramp? Yes, we do at no additional cost.